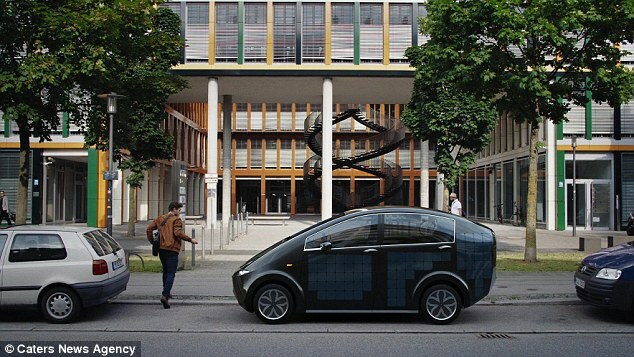 In an effort to make cars more environmentally friendly, a German car company has looked to solar technology. 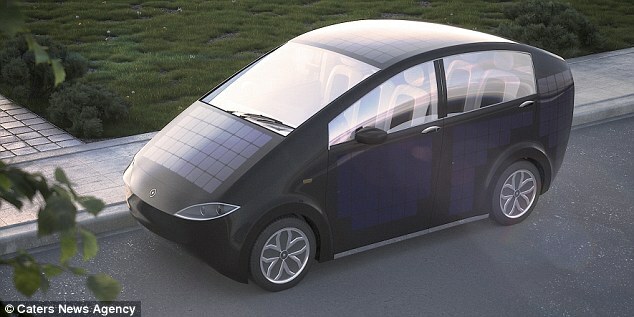 A prototype for a car has been developed which is adorned with solar panels. The Sion car can travel up to 115 miles on a single charge and also uses the unexpected material of moss to ventilate the vehicle. Sono Motors, a car company based in Munich, is now crowdfunding $200,000 (£154,000) to build the car, which is currently a prototype. The self-charging car will get power from the solar panels fitted to its roof and sides, though drivers will also be able to use power outlets as an alternative. 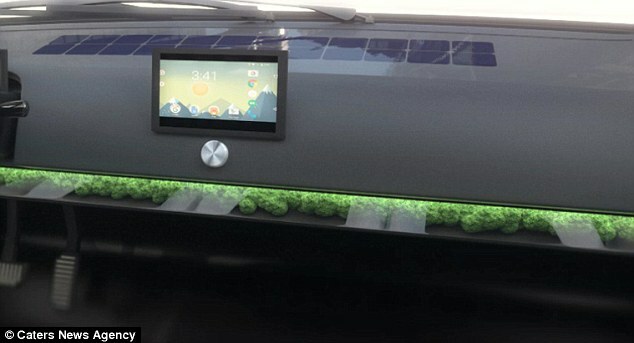 Sion, which is expected to hit the roads in 2018, also features an unusual ventilation system fitted with moss. 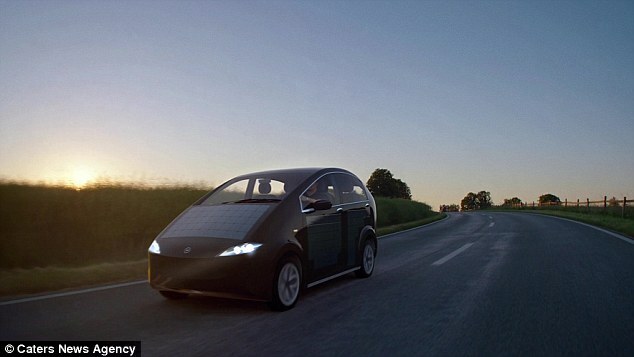 Two models will be available – the ‘Urban’ designed to travel 75 miles will be priced at $13,000 (£9,940), and an ‘Extender’ model that will travel up to 115 miles on a single charge and cost $18,000 (£13,770). Laurin Hahn from Sono Motors, said: ‘We started four years ago in a garage and soon got bigger and moved to a bigger workshop. ‘The team got bigger and we managed to finish our first pre-prototype in early 2016. ‘At that time we founded the Sono Motors. A unique moss is integrated into the dashboard and used as a natural air filter. A special lichen moss is used, which is known for its appealing look and excellent air filtration. In spite of the naturalness of the moss, it actually requires no care, since the plant draws its water from the air, acting as a natural air conditioner. The microstructures of moss binds fine dust particles from the air, so even in a big city, you can breathe fresh air. ‘Right from the beginning we had the plan of doing a crowdfunding campaign.